Rector Dear Prof. Dr. Metin Doğan and his committee paid a visit to Mayor of Municipality of Mamak Dear Assoc. Dr. Asım Balcı who has been elected as Mayor of Municipality of Altındağ in the election of 31stof March 2019. 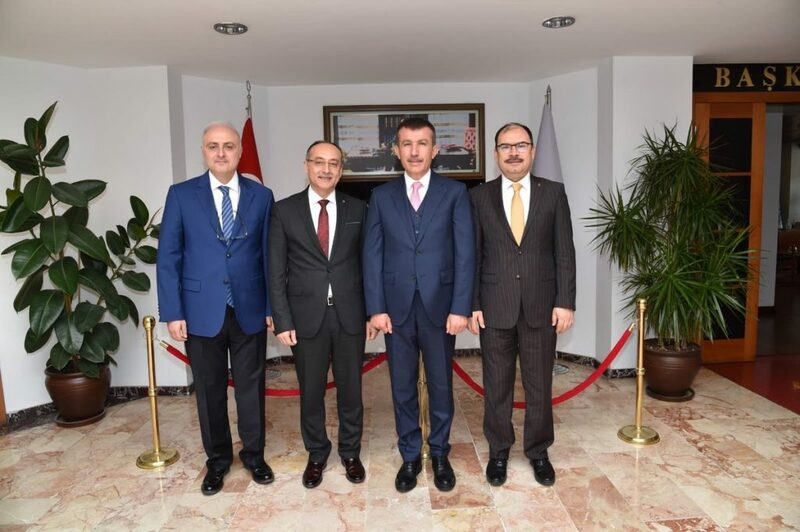 During the visit AYBU Vice Rectors Prof. Dr. M. Fatih Uşan and Prof. Dr. Fatih Vehbi Çelebi, took part, Dear Rector expressed his good wishes in his recent assignment to Dear Mayor.